This is the first game in the Dead Rising series. 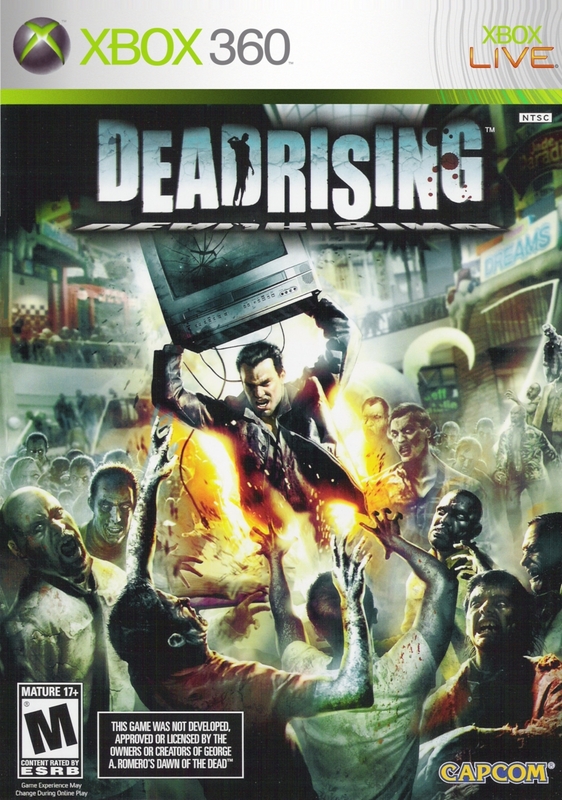 For other games in the series see the Dead Rising category. For the mobile game, see Dead Rising (Mobile). Dead Rising (Dead Rising: Chop Till You Drop on the Wii) is a third-person action game of the horror/zombie/survivor genre. The player controls Frank, a free-lance journalist intent on discovering the strange happenings in the fictional town of Willamette, Colorado. Dead Rising follows the harrowing tale of Frank West, an overly zealous freelance photojournalist on a hunt for the scoop of a lifetime. In pursuit of a juicy lead, he makes his way to a small suburban town only to find that it is overrun by something that appears to be a riot. After jumping out of the helicopter onto the landing pad of the local mall, he finds out that it isn't a riot, but that the dead have risen. It will be a true struggle to survive the endless stream of undead, but players will have full reign of a realistic shopping center, utilizing anything they find to fight off the flesh-hungry mob and search for the truth behind the horrendous epidemic. The variety of different stores in the mall offers players an endless supply of resources including vehicles, makeshift weapons and more. Players will also encounter other survivors along the way and by helping them can acquire valuable clues as to what has happened. With the success of Dead Rising on the Xbox 360, and Resident Evil 4 Wii Edition, Capcom decided to make Chop Till You Drop, a port of the game from the Xbox 360 to the Nintendo Wii with changes from player feedback. The gameplay is quite identical to Resident Evil 4 Wii Edition, except that you don't need to take photos anymore. Compared to the Xbox 360 save system, in which you have one save slot for the entire game and only a few save spots, the Wii has multiple save slots and save spots. Also, since the Nintendo Wii's processor isn't as powerful, the graphics and the number of zombies was reduced. There are also fewer subplots, a timer timing how long you complete a mission, a few additional weapons and a few new enemies. This page was last edited on 22 July 2016, at 15:57. This page has been accessed 57,070 times.